Hi everyone! 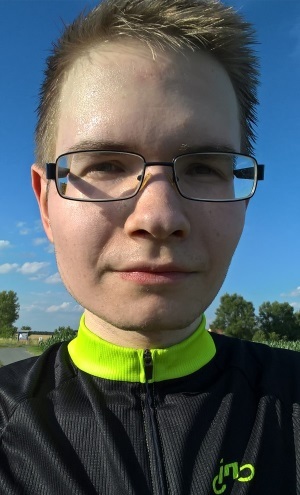 Community Manager Fero here and I’m back with the next edition of the “Our Gigantic Family” blog series where we’re putting the spotlight on you, the community. If today’s guest has ever been on the opposing team in one of your matches and Tyto’s avatar was next to his name, you were probably in for a tough battle: It’s LarssonTheBear! Hey Larsson! A quick trip down memory lane right away: August 17 – 21 in Cologne, Germany. How did you experience that week? It was a fantastic experience! Not only was it the first time that I got to go to gamescom, it also was a great way to learn how new players approach Gigantic, how I can teach them, and ultimately encouraged me to produce my own content. I met a lot of really nice people, be it from Motiga, Perfect World, or the thousands of players that stopped by the booth to play Gigantic, and even though everybody was exhausted after such a stressful week, I’m sure all of us got home with a big smile on their faces, like I did. You’ve been involved in Gigantic before that already. How did you hear about it and what got you hooked? 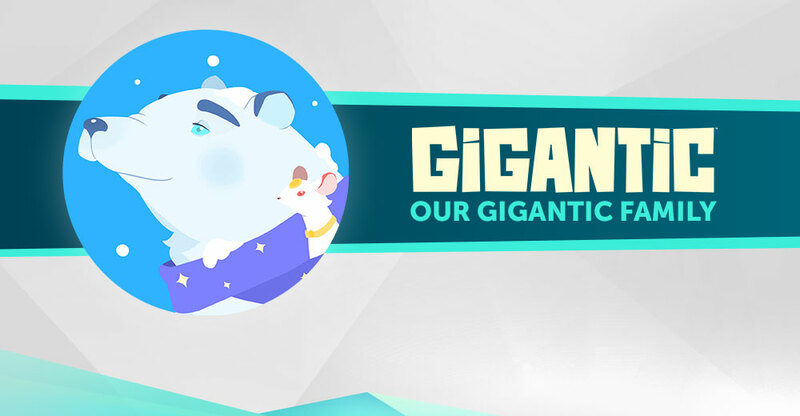 I’m honestly not 100% sure about how exactly I heard of Gigantic. I was confident that I saw it at the presentation of the Xbox One when it was first announced, but re-watching the whole event I can’t find it, so my best guess is that I’ve seen the trailer at some point during E3 2013 like most of the long-time players. What I do remember is that I immediately was fascinated by the art style, and I loved it so much that I signed up for Alpha, not even knowing what the game is all about. I didn’t play Gigantic too much back then because I was really into competitive shooters instead, but started to pick up the game and started improving a lot in early Closed Beta, when it quickly became my favorite game. You’re among the top ranked players in the leaderboards and are widely regarded as the best Tyto player out there. What’s your secret? If I’ve learned anything from life thus far, it’s that there are no secrets to success. The only way to really become good at something is spending a lot of time doing it, and being open to improve on yourself. I’ve started maining Tyto back in Alpha (I was terrible back then! ), and immediately found that Tyto fits my idea of how an action game should feel like. I got hooked and didn’t want to stop playing Tyto, so I naturally became better and better. I have no idea how many matches I’ve played with Tyto in total, but I’ve got a ton of experience, am confident of my abilities, know Tyto’s weaknesses and counters, and have solid game knowledge overall. There really is no secret, only a lot of time and dedication, and finding the hero that suits you best. As a veteran player, what advice would you give new players starting out with Gigantic? Bombard content creators with questions and ask them for advice. I am more than happy to help out players on my channels with pretty much any question. A lot of the content creators right now didn’t have somebody holding their hand, and thus built their knowledge from experience, playtime and discussions with other players and even developers, so you can usually trust that they know what they’re talking about, and you can expect a lot of good advice. You should also try out as many heroes as possible. The best way to learn how the game works is from multiple, different perspectives. Heroes vary heavily in Gigantic, and getting a feel for all of them is essential if you want to become really good at the game. Finally, don’t worry about your stats at first, and don’t worry about what other players say about you. Do your thing, enjoy the game, and don’t let anybody try to ruin the game for you. You’ve got a YouTube channel. How did you get into it and what content can people expect from you there? I’ve always liked the idea of making videos, the idea of sharing really nice moments and potentially entertaining an audience. With the start of Open Beta, I felt like it was a good chance to start making regular videos to entertain already experienced players, and help or fascinate new players, maybe even get more new players to start playing Gigantic. After I got a ton of support early on, I was encouraged to keep going, and here we are! I’m currently focusing on pure gameplay with live commentary. That’s what I’m best at, that’s what I enjoy doing the most, and that’s also what I enjoy watching the most myself. I’ve tried to work on guides and tutorials, but there are creators out there doing a much better job at that than I could ever do, e.g. FailcoPunch and Lunami. It’s not really my style to make a video about something that I could put into a couple of sentences, so I try to help out my viewers in the comment section to make up for it, and I think it works out just fine. You’ve even gone the musical route and created hits like “Pub Stomp Queen” or “Aisling’s Dad” on your soundcloud. How did that come about and are there any more masterpieces in the pipeline? Haha, in hindsight it was a bit weird to make covers like that, but I loved doing it. I’ve started playing piano when I was 6 years old, and started writing my own music around 5-6 years ago. It’s a hobby that I occasionally invest a lot of time in and then stop for a little while. “Aisling’s Dad” originated during a stream of FailcoPunch where I duo-queued with her for a few Gigantic matches. I listened to “Stacy’s Mom” by Fountains of Wayne a couple of times during the days before that and enjoyed the song, and I probably just came up with random parts of lyrics while playing Gigantic. I then got addicted to the idea of making a cover of the song, so I went ahead and made an instrumental for it, re-wrote the lyrics and sang the whole thing, even though it’s not made for my vocal range at all. I still think it turned out okay though. “Pub Stomp Queen” originated from a random reddit comment about Tripp being just that, a pub stomp queen. Around that time, I listened to Billy Joel’s “Uptown Girl” a lot, and came up with lyrics during work. I don’t have fixed plans to make new songs since that’s not the way I make music, but if there’s something that inspires me to do so, I’ll get to work. It’s probably quite a lot to pick from, but what has been your most satisfying moment in Gigantic matches so far? Oh man I’m really bad at remembering moments like that. My brain works in a way that I forget most of the things that happened in a match shortly after it ends (which also was a reason why I wanted to start making videos). So I have to go with the Tier 2 Tyto focus I hit on 5 players to get them wiped, which was featured on the Gigantic Top Community Plays from June 16th 2017. My dream play is a Penta Kill with 5 Swoop resets from Predatory Instincts, so if I ever manage to do that, that will be my most satisfying moment! With Gigantic now on Arc and the Steam launch not far away, which features would you definitely want to see next in Gigantic? Tools that allow players to play competitively against other teams: Custom games, hero drafting and bans, map picks and bans, all of that! I also would love to get the ability to save replays from every match, have a spectator mode, and ultimately a ranked mode for us sweaty tryhards. And new Tyto skins. Thanks so much for the interview! Any last words from you? Lots and lots of thanks to all of my viewers, followers, subscribers, fans, friends, and all the players that make creating content for this game and playing the game possible! Special thanks to FailcoPunch, Aradre and Summi for being long-time players I can always look up to, no matter how bad I feel, and the Motigans that (sometimes) listen to my feedback on Tyto! Do you have someone in mind who we should introduce you to next? Just send a quick email to fero@perfectworld.com! See you around! Stay Connected! Follow us on our Official Channels to get the latest Gigantic news!